Are you looking for a Spring dress that is forgiving and flattering all at the same time? I found one from ASOS that retails for UNDER $50 and is RIGHT UP my post-pregnancy alley! Made from a soft jersey fabric, this London inspired frock is guaranteed to work just about anywhere. Dress it up or down depending on your accessories. Heading to the boardwalk? Pair it with flip flops and over-sized sunnies. Want to go out with the girls for drinks? Put on a pair of 3 inch heels, a summer scarf and lots of bangles. Have fun!! 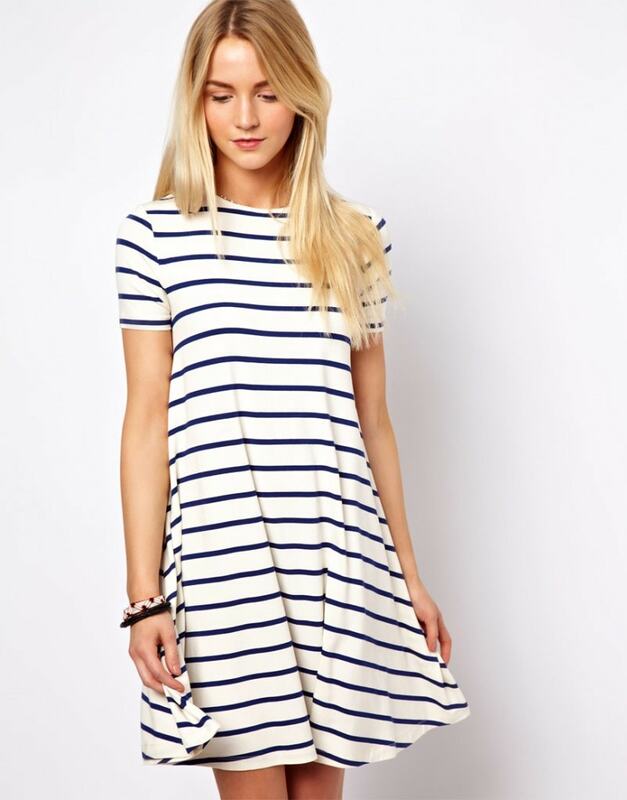 The ASOS Swing Dress In Stripe Print retails for $41. Does this dress run true to size? Or do you recommend sizing up or down?